Wilier is one of those Italian marques which has been turning out bikes for years – in its case since 1906. No-one’s quite sure where the company’s name came from, but there’s a suggestion that Pietro Dal Molin, its founder, liked it because it sounded exotic. Triestina was added after the First World War after special troops riding Wiliers liberated Trieste. After the Second World War the company sponsored a pro cycling team, with Fiorenzo Magni winning the Giro d’Italia on a Wilier in 1948. However, Wilier ceased bicycle production between 1952 and 1969 when the Wilier brand was purchased by its present owners, the Gastaldello family. They’ve built up the company and it now sells as many bikes as that other niche Italian brand Colnago. Wilier has continued its involvement in cycle racing. In 1997 Marco Pantani made the fastest ever ascent of Alpe d’Huez riding a Wilier. Its bikes have also been ridden to the Tour de France Green Jersey and to victory in the Tour of Flanders, all three Ardennes Classics, Giro di Lombardia and World Championships, as well as the Giro d’Italia again in 2011. The GTR is Wilier’s endurance bike range and has expanded from a single bike in 2015 to a plethora of models. They all share the same frame geometry, but built with different grades of carbon fibre. The geometry is based on that of Wilier’s Cento1, which is very much a performance race bike, and Wilier targets the GTR at racers and sportive riders looking for a higher performance bike with the compliance for a comfortable ride, but without being over-plush. The higher priced GTR SL uses a higher modulus carbon mix for a lighter weight, which Wilier quotes at 990 grams. The GTR Team which we have for test uses a lower modulus 46/30 ton carbon fibre mix for a frame weight of 1190 grams. 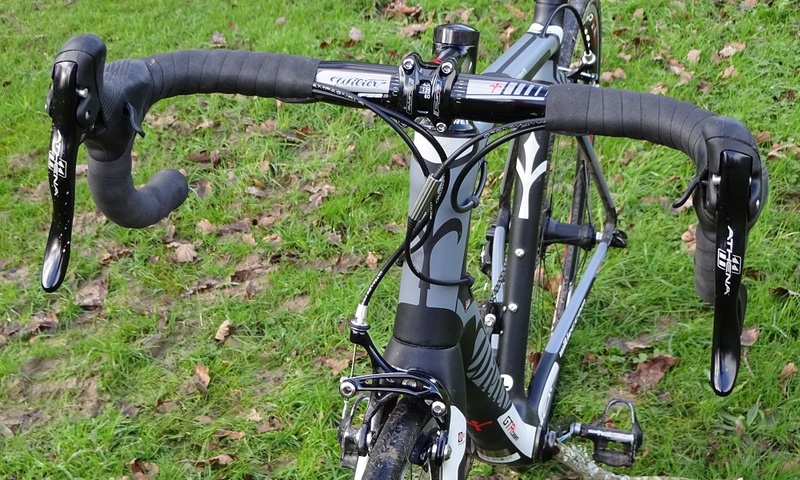 Wilier mixes things up further by using two different fork geometries. Race versions of the GTR have a fork which gives a shorter wheelbase and a more aggressive ride. Endurance versions have slightly longer forks. This increases the wheelbase, reduces the frame angles and leads to a more relaxed riding position and less edgy handling. So the bike which we have for test is the lower modulus Team version of the frame, in Endurance geometry. It’s finished in a rather nice matt grey and black. To add further to the plethora of models, in early 2016 Wilier will introduce a disc braked version of its GTR frame with flat mount calipers. And it still offers the “Classic GTR” which was its previous version of the bike and is sold at a lower price point. Wilier claims a weight of 1,190 grams for the GTR Endurance frame. It follows the modern trends of a wide down tube and bottom bracket, asymmetric chainstays and clearance for 28mm tyres. 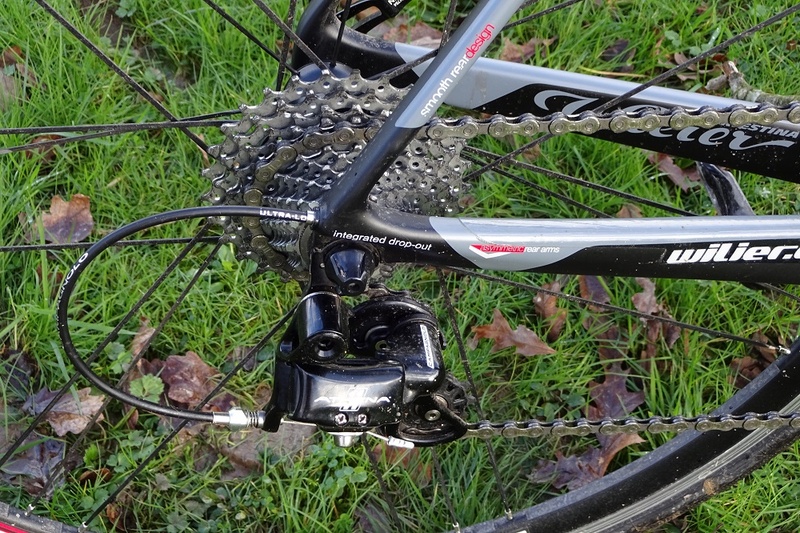 Its cables are internally routed and it can be converted to electronic shifting. 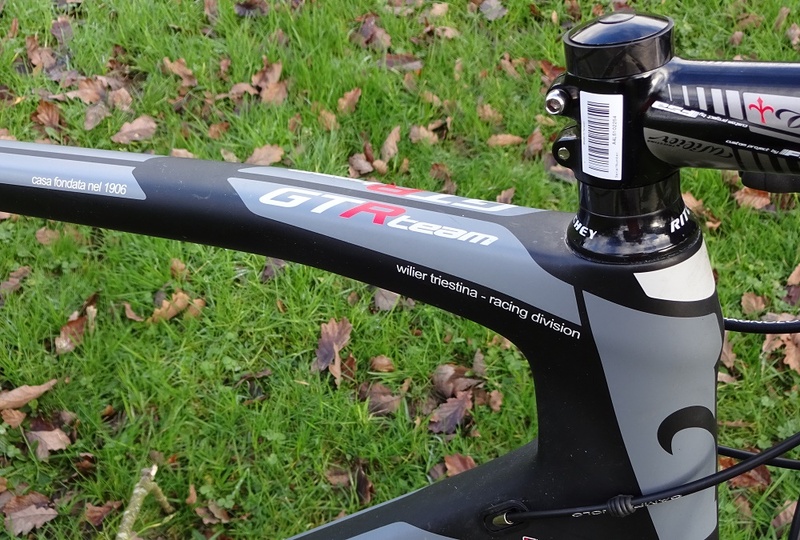 Wilier puts great store on the robustness of the head tube and its junction to the fork and its entire range, including the GTR, is overbuilt in this area to ensure good tracking. The fork is all-carbon and has Kammtail section legs to improve its aerodynamics. The spec is as Italian as can be, with a full Campagnolo Athena groupset with an alloy 50/34 compact chainset and a 12-29 cassette. The Wilier also rolls on a Campagnolo Zonda wheelset, with its distinctive clustered spoking in the rear wheel and milling between the spokes to reduce weight. The alloy finishing kit comes from FSA and there’s a Selle Italia saddle. And to complete the Italian theme there are Vittoria Zaffiro Pro 25mm tyres. For its price the Wilier is a light bike and this is reflected in the lively ride. It accelerates well and feels like a bike which needs to be ridden with some urgency. Even in Endurance geometry it feels fast but without being twitchy; and I ticked along at a good rate on the flat. Hitting the hills, I could feel that lack of weight again and was able to climb steep ascents with ease — indeed to such an extent that I was half way up a 15 per cent gradient before realising that there was another gear left in the box. The GTR also descends well with a confidence-inspiring ride at speed. I did find that I could induce some slip from the Zaffiro tyres on slicker, wet climbs though. A tyre upgrade would add some more grip. The saddle and bars are comfortable for longer rides, although I did find the Athena levers and hoods slightly narrower and less padded than Shimano’s or SRAM’s, making them a bit more awkward to perch on for long periods. For £2,000, the GTR Team Endurance provides something of a breath of fresh air: it just feels that bit different to other bikes out there at this price. Its quality frame is complemented by the Zonda wheels, which are lively, light and stiff, and really transfer the power to the road well. 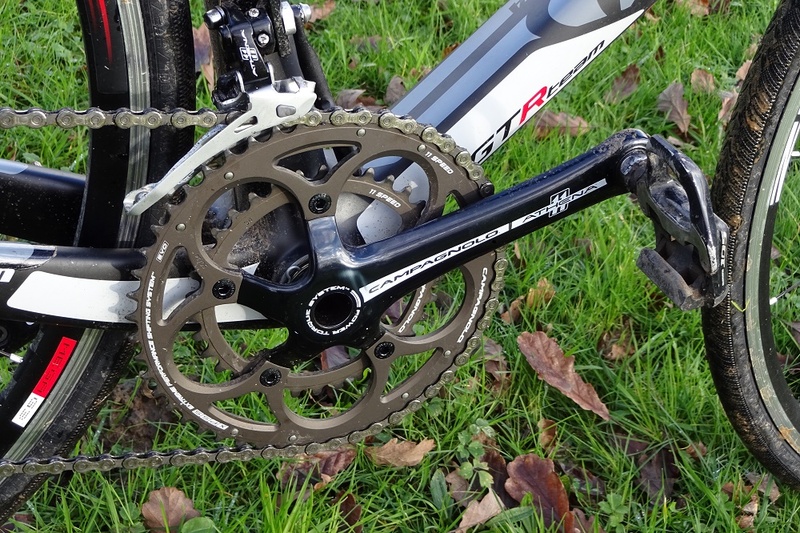 A full Campagnolo Athena groupset is also a bonus, providing consistent and quality shifting.